The Studio’s New Rain Garden at TRITON COLLEGE Gets Some “Ink”……! 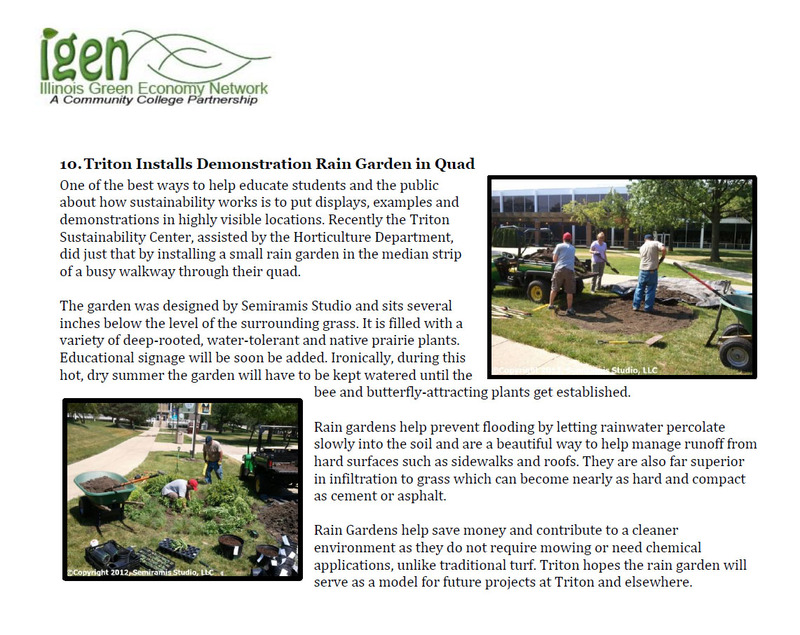 Please see the earlier post about Triton’s Rain Garden here. Curious how the Triton garden will weather drought conditions. Native plants in the reconstructed prairie by Marovitz Golf Course @ Montrose Harbor functioned just like a rain garden the other day & have looked great even without rain. A way to drought-proof more of the lakefront in the future? Previous Previous post: Watch the Rain Garden Do It’s Thing…!